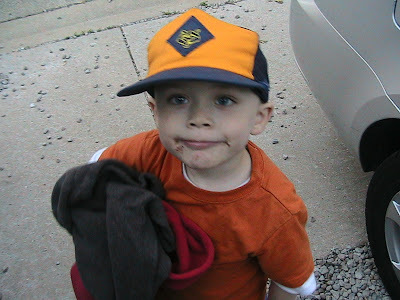 I took this one of Joe as we were getting home from Scouts. I so love spring and summer. It's still light. No more dark, and cold. Yeah! 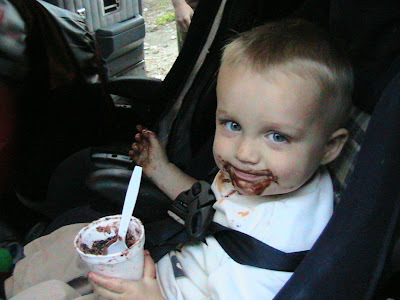 Jimmy REALLY liked his chocolate pudding (dirt)!!!!! !